La’Nelle Gambrell, studied studio arts at College of the Desert Arts in Palm Desert, California and graphic design and journalism at the University of Houston, Houston, Texas. She also studied privately for two years with the well known Texas sculptor, Ellsworth Handy. As the owner of La’Nelle Gambrell Advertising/Art and later Artemis Film and Graphics, (Corpus Christi, Texas and Houston, Texas) La’Nelle’s expertise in corporate design and copy writing helped build a national client list that included banks, hotels, travel agencies, commuter airlines, fast food restaurants, television and radio stations, power companies and two Texas State Senators. She wrote everything from television, newspaper and magazine ad copy and articles to press releases and speeches. She produced her own television and radio spots, edited books, articles, countless newsletters, designed corporate logos and won numerous Advertising Federation awards, including a Best of Show. She even had her own weekly television show, ‘CBS Computer Football Forecast’. La’Nelle has won numerous awards, including several Best of Show awards for corporate design, various film/graphic projects and paintings. More recently, since moving to Mt View, Arkansas, she has won first place awards and a best of show for her paintings. “I’ve been an artist all my life, La’Nelle says, but only discovered encaustics, now a passion, some six years ago after moving to Mountain View, Arkansas.” She has put away her previous mediums and has now devoted her entire studio to perhaps the oldest know art form, the ancient art of the Egyptians of the Fayum Valley. Her expertise in the medium sometimes references recognizable forms, sometimes not but always there is the depth and translucency that can only be achieved with flame and molten bees wax. La’Nelle is also a published author of three novels, Healer’s Daughter, Prince of Texas and Tidelines. Her two woman/two act play, Frikken Justice toured in Canada for two years after being chosen by the Canadian Arts Coalition and received standing ovations. She has had numerous short stories published in Texas Magazine, wrote a handbook for the National Romance Writer’s of America and now teaches an online writer’s workshop on ‘How to Write Your Memoirs’ for people wanting to write their life stories by following an easy, step-by-step format. 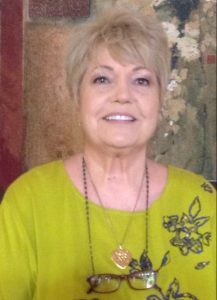 La’Nelle also enjoys teaching encaustic art at the Mountain View Art Guild, the Arkansas Craft School (also in Mountain View) and at her remote studio on Fox Mountain near Fox, Arkansas where she instructs in the ancient art of encaustics. When she’s not painting, writing or teaching, La’Nelle enjoys traveling, kayaking and antique shopping. She’s also a volunteer for Safe Haven Animal Shelter and always reminds her friends to be responsible pet owners by having their pets spayed or neutered.